We invite you to join our four night Fall getaway ~ undisturbed quilting and socializing with Studio 180 Design Certified Instructors, Michelle Renee Hiatt and Dan Perkins. The historic and charming, beautifully landscaped Rangeley Inn is our venue, nestled on the shore of Haley Pond, and gateway to the lakeside village of Rangeley, Maine. The large and spacious Kennebago Ballroom will become our classroom/studio for five days. The Rangeley Inn lobby, refined and beautifully furnished, is an inviting place to relax with a book and a glass of wine, or take your turn at the piano. We'll enjoy scrumptious meals in the dining room, enhanced with elegantly high decorative tin ceilings, soothing colors, captivating artwork and delightful views from the picture windows. Relaxing evenings with newfound friends may be enjoyed around the beautiful fireplace in the warm and cozy Rangeley Inn Tavern. Your lodging choices include tastefully appointed historic guest rooms in The Inn or waterfront rooms in the Haley Pond Lodge. Our Fall Quilt Camp Package includes all instruction, lodging, meals and snacks. 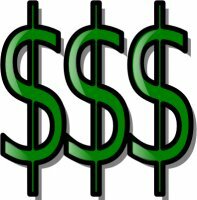 Class size is limited, so we encourage you to register early! Michelle Renee Hiatt is passionate about quilting. She started her love affair 20+ years ago in the 1990s. Michelle Renee is the designer for her own pattern line Sew On The Go as well as Modern 180, a modern pattern division of Deb Tucker's Studio 180 Design. 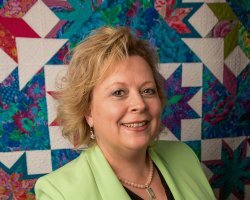 Additionally, Michelle is a certified Studio 180 Design Instructor, as well as a certified Professional Process Expert (LSSMBB); she uses her process improvement techniques and applies them to her quilting and teaching others how to simplify their piecing while improving the quality of their quilt making. Michelle Renee’s designs have appeared in Modern Quilting Unlimited and Fon’s & Porter’s Love of Quilting. She is known for her humor, enthusiasm and encouragement! 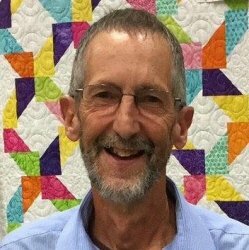 Dan started quilting in 1995, about the time he and Carol opened Threads Galore Quilt Shop in Rangeley, Maine. Almost from the very beginning, he felt the need to design his own “patterns” and to not follow those designed by others. Dan has no idea how many quilts he has made over the years but the majority have been of his own design. In the fall of 2013 Dan earned dual teacher certification in the Studio 180 Design Inaugural Teacher Certification Program. Using Studio 180 Design tools allows him the opportunity to create intricately pieced quilt tops, repeatedly and uniformly. As a Studio 180 Certified Instructor, he looks forward to introducing, and sharing with others, the concept of consistent precision piecing through the use of the Studio 180 Design tools.